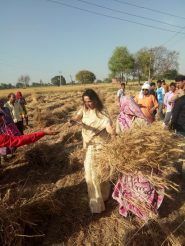 Lok Sabha Elections 2019: Actor-turned-politician Hema Malini was on Sunday spotted in a farm in Mathura, helping locals with hay. 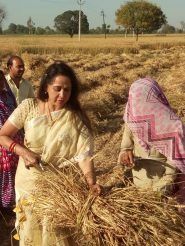 New Delhi: Actor-turned-politician Hema Malini, who is re-contesting from the Mathura Lok Sabha constituency in Uttar Pradesh once again this year, was on Sunday seen harvesting in the city. 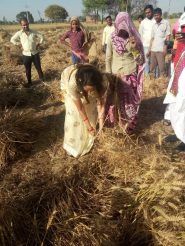 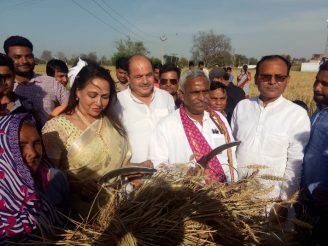 The BJP MP was spotted helping the farmers with hay in the field. 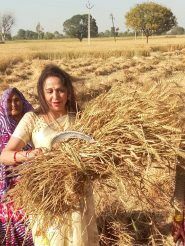 Earlier, Hema Malini had said it will be dangerous for the country if Prime Minister Narendra Modi doesn’t return to power as he alone has the courage to do what is right for the country. 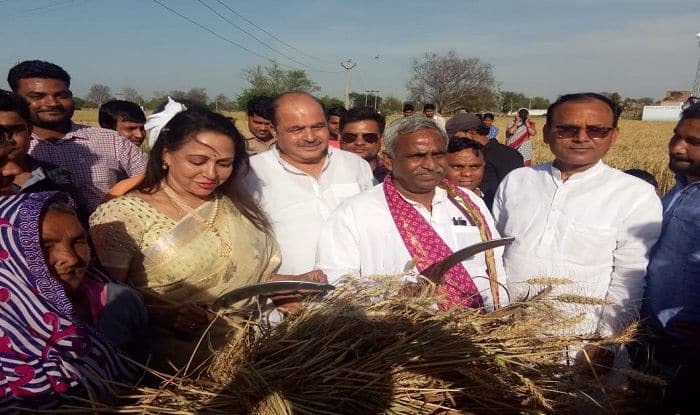 The BJP MP, who has announced that this election will be her last, is pitted against the Rashtriya Lok Dal’s (RLD) Kunwar Narendra Singh.